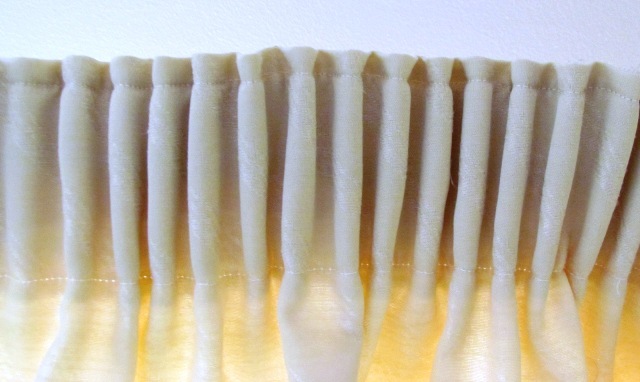 Pencil pleat curtains are a popular choice for most rooms. Pencil pleat curtains and probably one of the most popular choice of curtain heading, it gives a neat crisp look to any room. It is one of the most popular curtain headings and will fit many types of tracks and poles.These can be fitted into a bay window as well. The amount of gathering is really a personal choice as some like tight pleating while others make the curtains one window width and like less pleating. If the window has a valance then this will usually be the type of heading used especially when buying ready made ones. 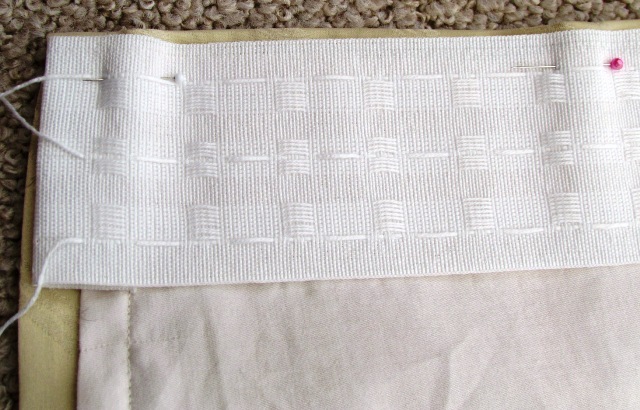 For this type of curtain a heading tape will need to be bought which will be sewn onto the curtain before it is gathered. The amount needed would depend on the width of the curtains. Before adding the heading to the curtains, the window will need to be measured first and then the amount of fabric calculated. Bear in mind that if tie backs are wanted and to be made in the same material then extra would need to be added to the calculated amount of fabric. Any alterations such as pattern matching would also need to be done before hand. The side and lower hems also could be finished with any lining attached. 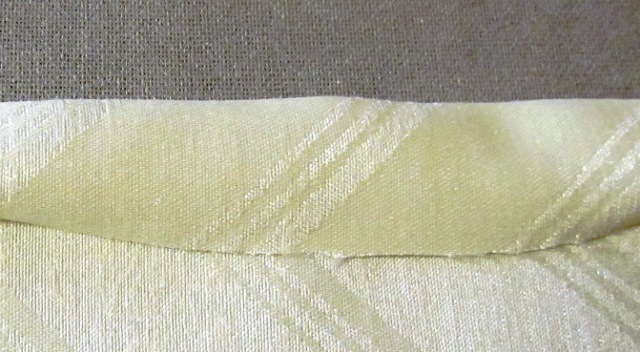 Linings could also be attached separately when the curtains are finished. Insert the track gliders into the heading tape and attach onto the track. The curtains are now finished and any left over material could be used to make a cushion. If there is not enough for a whole cushion then use the bits with contrasting material and have a go a patchwork one.